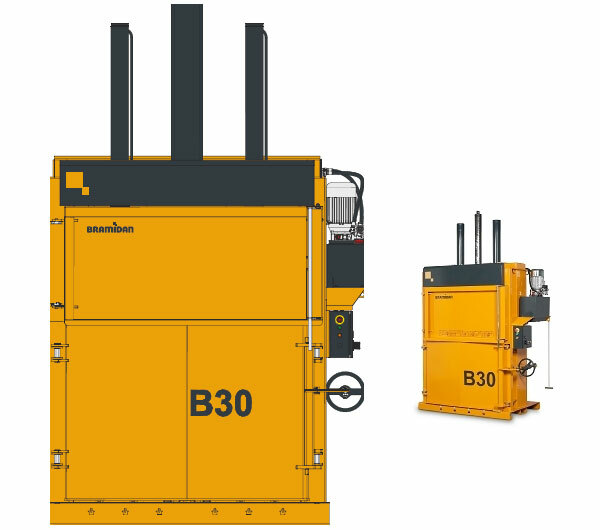 The B6030 is a full-sized flexible baling press and can be used for waste handling in large retail shops or any other industrial complex where there is a need to create full-sized bales of just about any material. The wide filling opening makes it easy to fill in all sizes of boxes, from large to small. Rows of barbs inside the chamber keep the waste down when the unit is compacted. They can even keep very expandable materials like plastic or cellophane down. 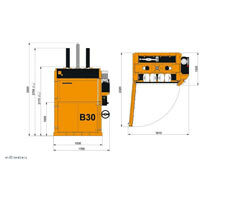 The B3060 is easy to operate and has a full-indicator, which tells you when the chamber is full and ready for baling. 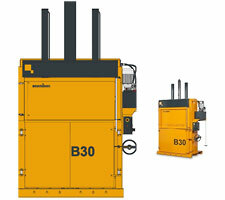 This machine outputs bale sizes approximately: 60 x 30 x 48. This baler features a threaded spindle to make opening the compression chamber door safe and easy. The bale is ejected via a safe two-hand operation. 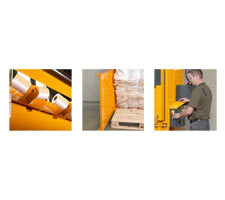 Baler Strapping can be integrated into the unit on included strapping spools. The recommended size of strapping for this unit is 1/2" flat strap (for cardboard) or 3/4" flat strap (for plastic) and will give you approximately 55 bales per roll. Barbs inside the chamber keep compacted materials down. Safe and efficient ejection system allows easy output of bale onto pallet or skid. This tensioner is designed to handle polypropylene and polyester straps only and is great for most small businesses. Use this strapping with your baler to keep bales compacted and in one piece. Fully powered pallet truck for easy and quick operation. 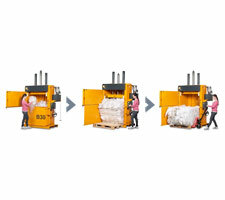 This small footprint baler makes the perfect size bales for manually hand-stacking. Lift’n Buddy elevating hand trucks make moving large items faster, safer and easier. 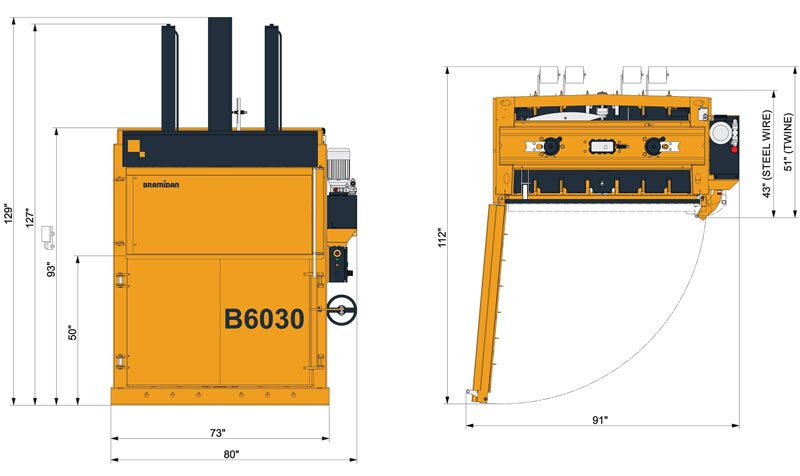 This full-sized baler is the perfect unit for operations requiring large bales of materials on a regular basis.